Next stop Kerala, which I’m told is a “tropical paradise”. We are due to arrive on 23 Sep, which we hope will be the end of their rainy season. 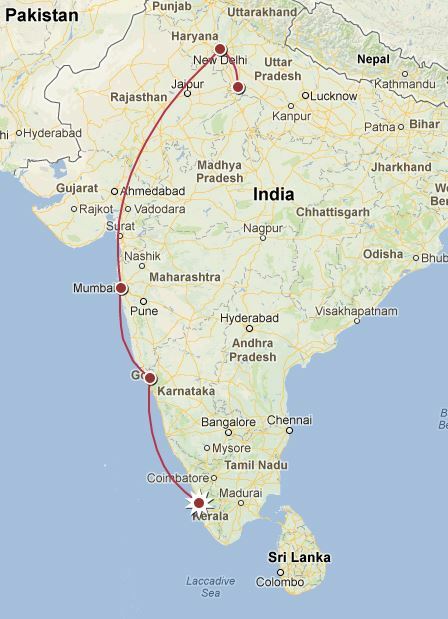 From there we’ll travel up the west coast on the Konkan railway to Goa and then Mumbai. While in Goa and Mumbai we will work for a charity called OSCAR – Organization for Social Change Awareness and Responsibility with our friend Dan. Before flying to Delhi and then Agra where we hope to visit the Taj Mahal.